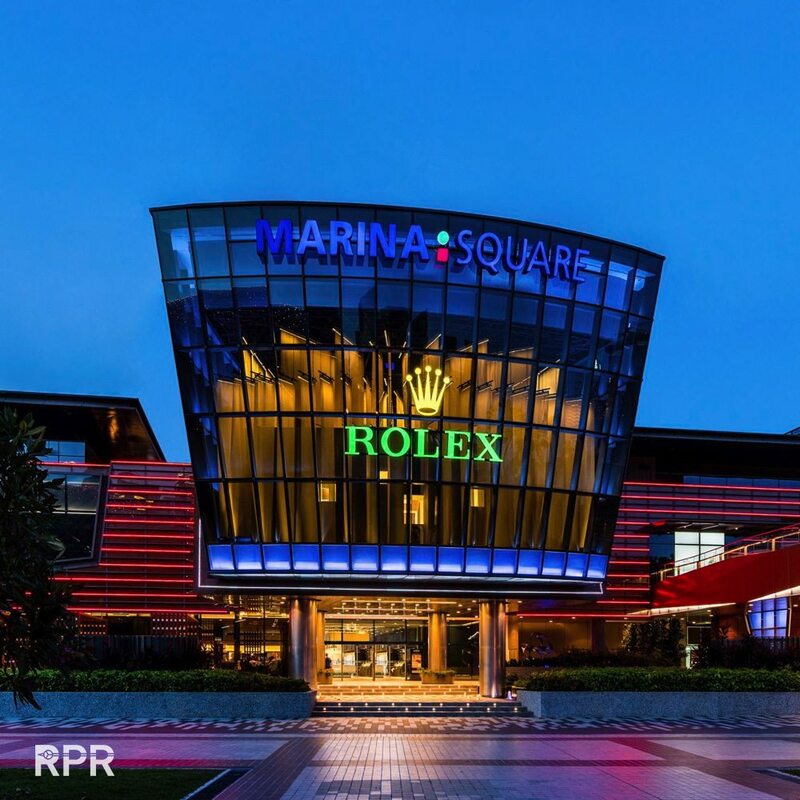 Located in Marina Square, a mall sited near the business district, the new Rolex store is one of the largest single-brand watch stores in South East Asia. By comparison, the recently opened Patek Philippe boutique in Singapore is half as large, and it’s the brand’s largest in the region. 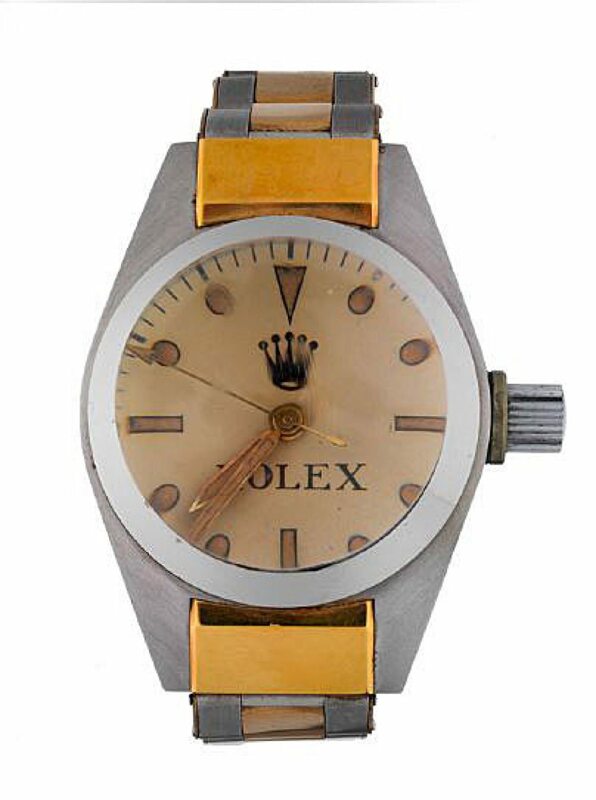 Naturally the store is outfitted in typical Rolex fashion, a conservative style that’s late 20th century with lots of green, beige and shades of brown. 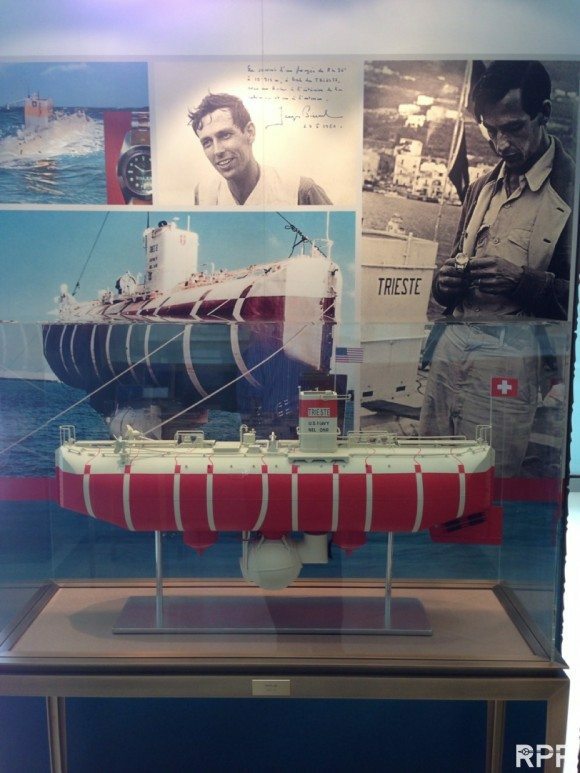 Later Deepsea display models that where send around the world to showcase the enormous proportions. 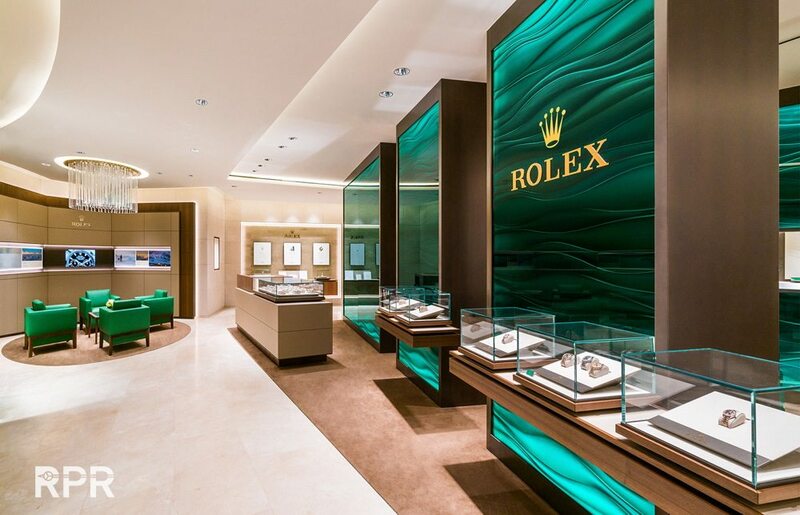 The stunning new Rolex flagship store is showcasing vintage Rolex as well! 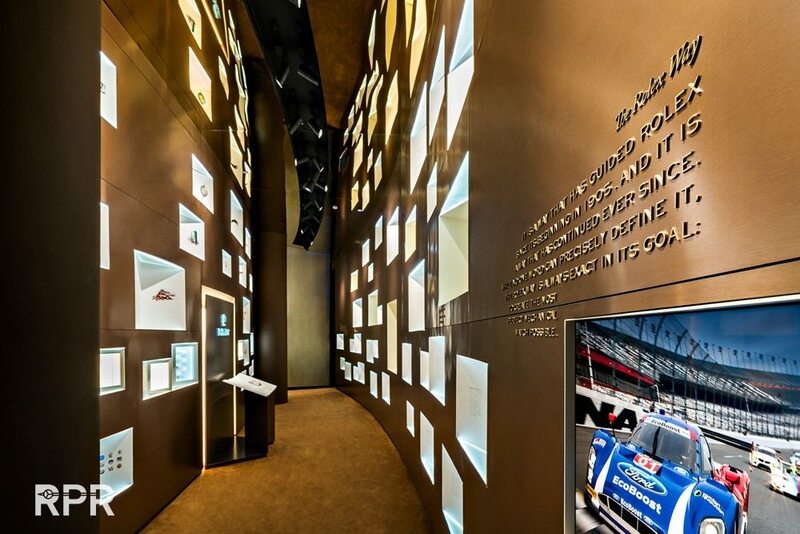 Complete with a permanent exhibition explaining Rolex, from its key innovations to landmark timepieces like the Deepsea Challenge. 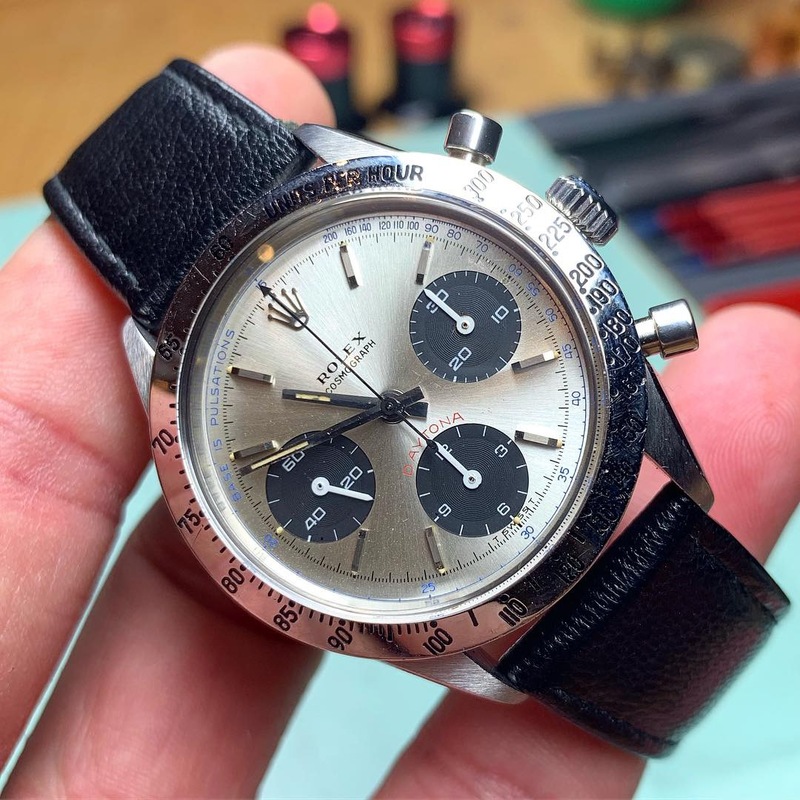 It continues with The World of Rolex, a video that’s all about the brand’s philanthropy as well as its ambassadors in the arts, sports and exploration. 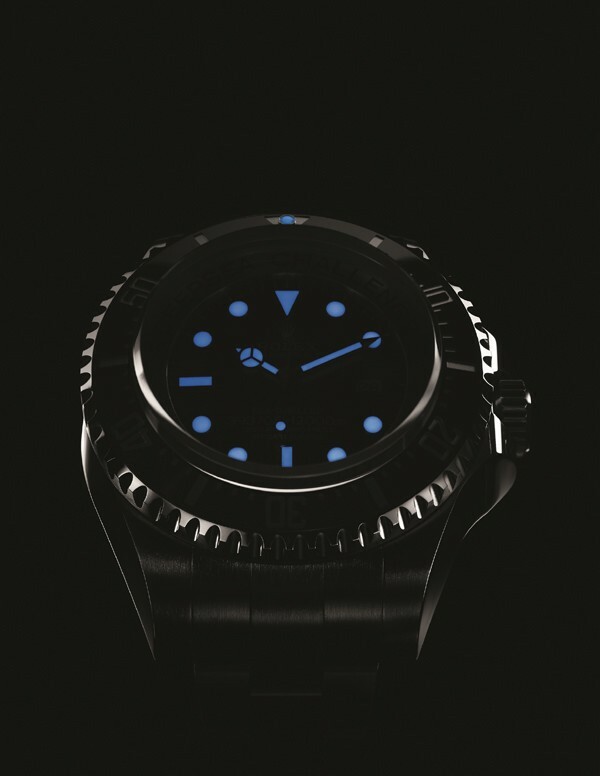 But the most interesting is the final section, Rolex and the Deep. 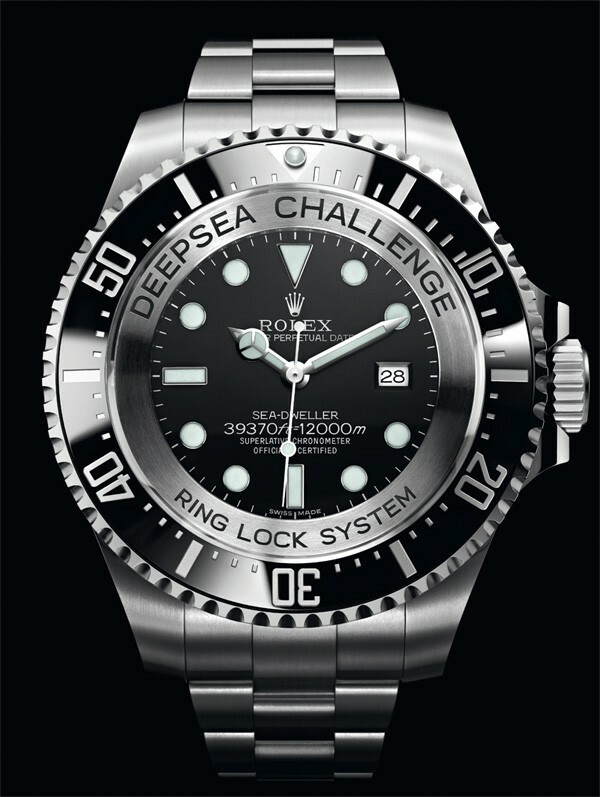 This covers Rolex’s accomplishments in deep sea exploration, namely the two expeditions in 1960 and 2012 that visited the deepest place on Earth, Challenger Deep in the Marianas Trench. 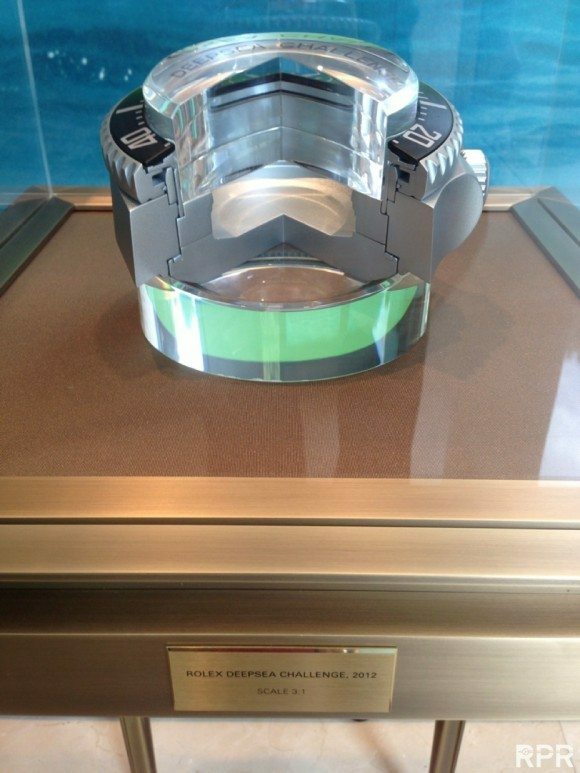 Both experimental wristwatches that accompanied each expedition, the Deep Sea Special and Deepsea Challenge, are on show, as are models of the submarines that took the watches to unprecedented depths. 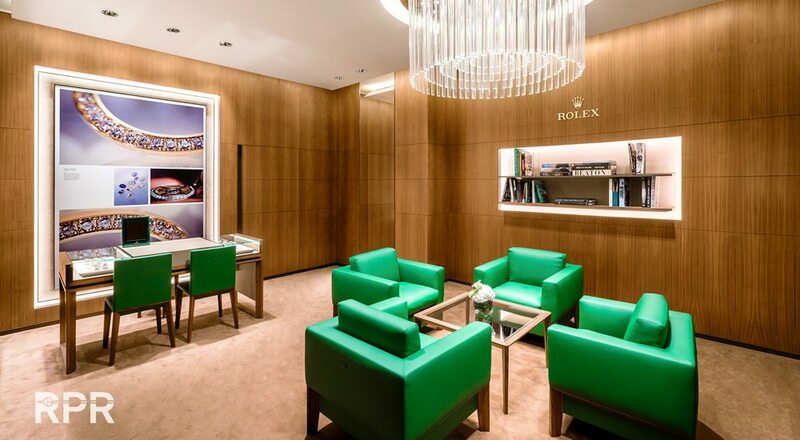 Not only is the size unusual, the new store has a unique feature in the rear, The Rolex Exhibition. 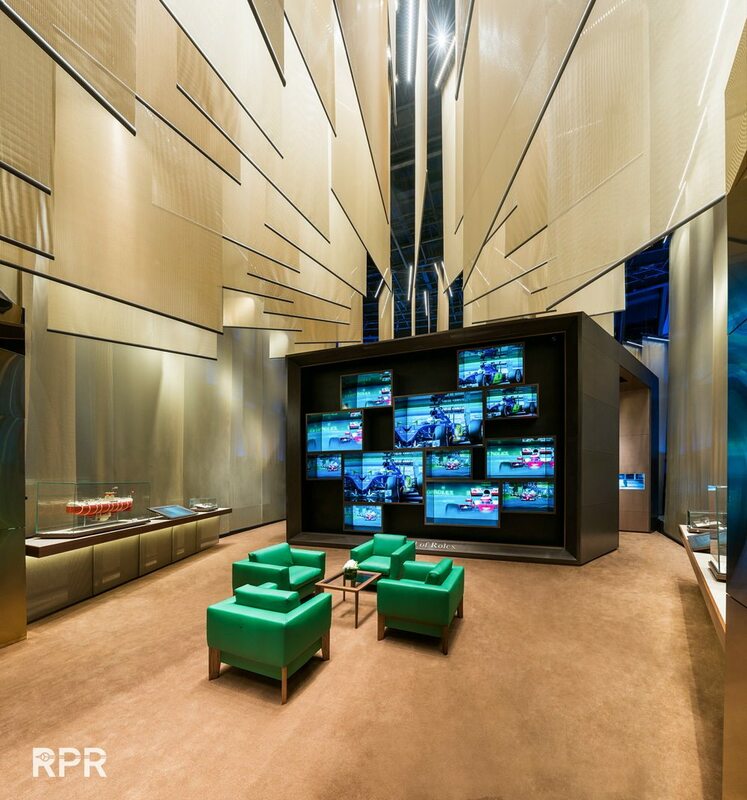 Inspired by The Rolex Experience, an even larger, 800 square metre store and museum in Shanghai, the Singapore store features a permanent exhibition comprising three sections, starting with The Rolex Way, a dictionary that explains key innovations developed by Rolex, from the Cerachrom ceramic bezel to the recent, high-efficiency Chronergy escapement in the new Datejust 41. 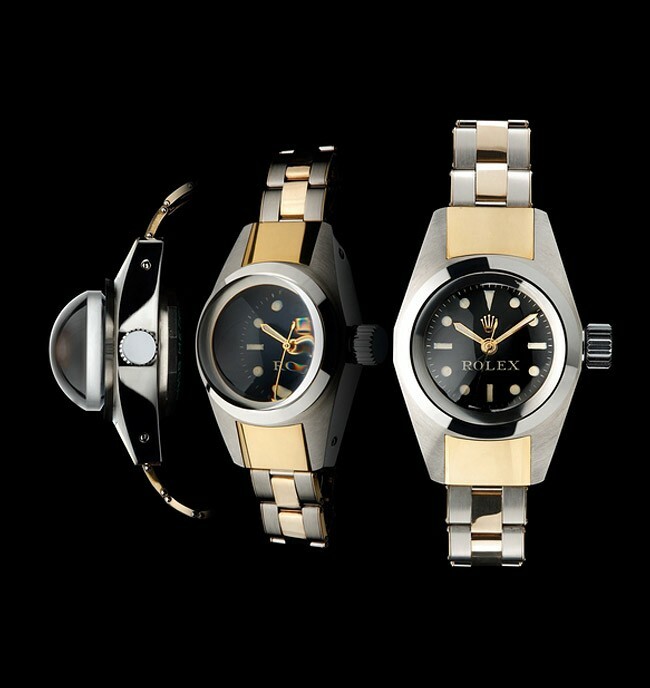 Very well done Rolex, my compliments! I do hope you will open up a exhibition here in Europa as well!! This post was written by Philipp on September 9, 2016.